DVCL Inrush Current Limiter | VPT, Inc. 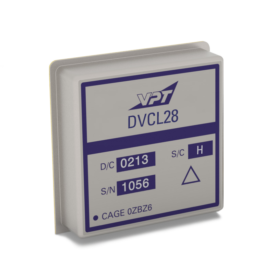 Protect your valuable power system with VPT’s DVCL Inrush Current Limiter. The DVCL controls inrush current drawn by VPT’s EMI filters, DC-DC converters, and discrete input capacitors during startup. With a power capacity of 200W, users can protect multiple downstream VPT DC-DC converters using a single, lightweight, DVCL module. View the performance graphs.